Travel season to Miami and Miami Beach is here. With that, so is an influx of cases of the common cold and the influenza, or flu for short. The act of travel requires spending time in high-traffic areas such as airports or train stations which can expose you to high percentages of viruses and bacteria. Typically, your body is well adept at handling most viruses and bacteria, however, if you have an immune deficiency of any degree, or even just tired and somewhat dehydrated, it is very possible to become sick from the germs and viruses around you. Many travelers report getting sick with the cold or common flu after or during travel, particularly during the winter months when temperatures drop and more people are on planes to visit friends and family for the holidays and vacations. A recent report cited that travelers are about twenty percent more likely to catch a cold or flu virus while traveling by airplane as opposed to living their normal lives on the ground. While it’s not a surprise that airplanes harbor a lot of germs as they shuffle hundreds of people daily to a wide array of destinations, it is possible to boost one’s immune system leading up to a trip or right after a trip, to lessen the chances of becoming sick. High-doses of vitamins like the dosage used in our Wellness IV Infusion, promote an improved immune response. Our bodies are constantly working hard to protect us from viral and bacterial infections. Vitamin C (ascorbic acid) is a powerful antioxidant that helps fight off illness. The human body does not produce vitamin C. It must be obtained from outside-the-body sources either by consuming citrus fruits (lemons, limes, oranges) or by taking supplements. IV Therapy delivers high doses of Vitamin C directly into the bloodstream for the body to start using immediately. New studies confirm that vitamin C supplementation shortens the duration and mitigates the severity of colds, while also preventing colds from developing. Our wellness formula IV drip can be taken as a preventative measure before, during or after a vacation, a business trip, or other high-stress situations. It can also be taken at the first signs of a common cold or flu, or whenever you feel a little depleted. IV hydration therapy supports your body by immediately delivering essential fluids and electrolytes necessary for quick recovery. 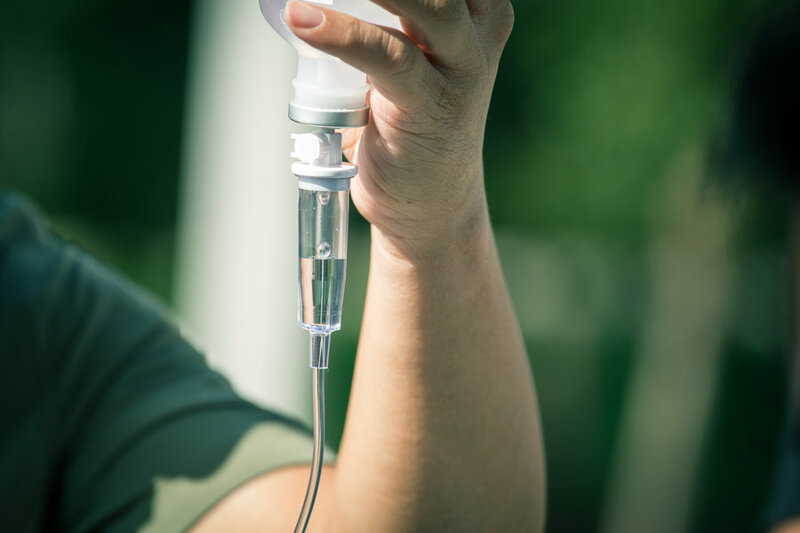 Our IV Therapy fluids are especially formulated to offer your system with the proper balance of electrolytes and key minerals needed for proper body functions. In fact, consuming extremely large amounts of water alone (h2o) either by drinking or intravenously can have its own adverse and dangerous effects on the body. That is why the IV solution must be properly balanced and only administered by medical professionals. To read more on the topic, read our post on hydration here. Your mother is always right! Do wash your hands, especially after being in high traffic areas and touching things such as door knobs, door rails, and airplane trays and seats. This keeps harmful bacteria and viruses from infecting you and can lower your chances of getting sick. To aid in a speedy recovery from the flu or a cold, boost your system with hydration and vitamins to help it heal naturally. IV therapy is an effective way to provide your body with the proper hydration and boost in supplementation to better prepare it to fight off illness. IV Division is a Miami Beach based mobile IV hydration company, providing in-home IV infusions with essential fluids, electrolytes, vitamins and antioxidants, to quickly relieve a variety of conditions, including the flu and cold. When you’re sick with the flu, the last thing you want to do is get out of bed and sit in a waiting room. Our team of highly trained medical professionals come directly to you to aid in your speedy, and comfortable, recovery. Our individualized IV treatments provide you with the medicines, nutrients and hydration needed to kick-start your recovery catering to your particular needs. With IV Division, you will always know the total cost of treatment, with no additional surprise fees added to your appointment.